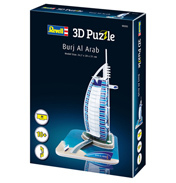 Puzzles are one of the most popular leisure activities for children and adults. 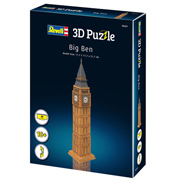 When the first 3D puzzles came onto the market, this relaxing hobby became even more attractive and - in the truest sense of the word - took on another dimension. 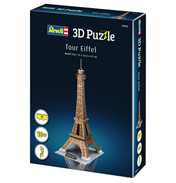 Whoever puzzles together the famous Eiffel Tower or a pirate ship as a three-dimensional body needs not only patience, but also a certain amount of dexterity and spatial imagination. 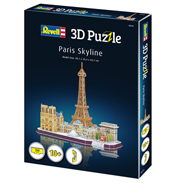 But the effort is worth it: if the last part is in the right place, the inventor can proudly look at his work. 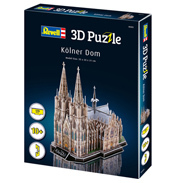 That's why these beautiful buildings should be given a proper place after successful assembly - either as interesting room decorations or as part of a collection worth seeing, which is gradually being expanded to include self-made models. 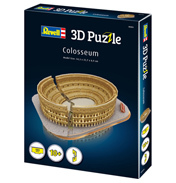 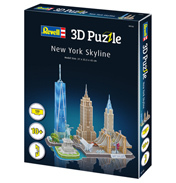 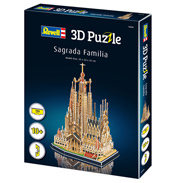 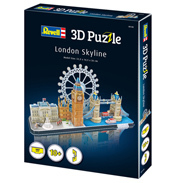 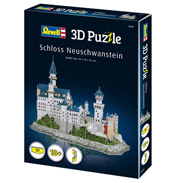 We have a diverse collection of 3D puzzles from Revell, exploring famous landmarks from around the world.